Marvel Studios and Disney are putting the focus on Black Panther for Academy Award consideration. 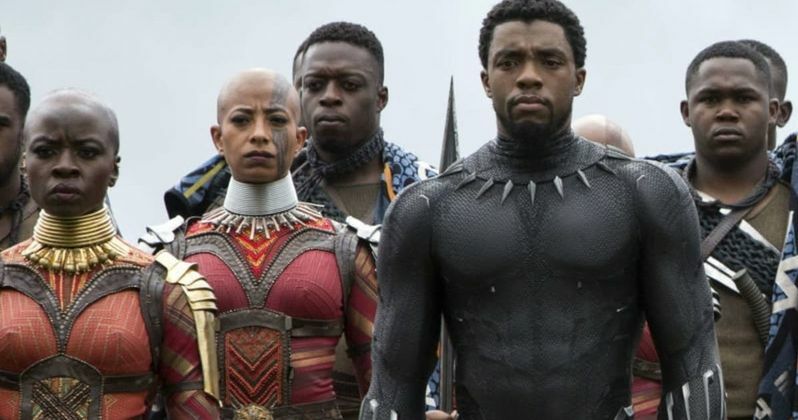 Infinity War is stepping aside to give Ryan Coogler's film a chance to shine, which has some Marvel Cinematic Universe fans divided. Black Panther was a monster at the box office upon its release in February of this year, earning over $1.3 billion worldwide, with a little over $700 million coming from North America alone. The film is currently the highest grossing superhero film of all time domestically. Disney is taking Black Panther into the Academy Awards race across the board. Their For Your Consideration page lists Best Picture, Best Director, Best Actor, Best Screenplay, and 14 other awards. The studio only has Infinity War up for Best Visual Effects, which Black Panther is up for as well. There has been a healthy dose of Oscars buzz surrounding the film ever since it hit theaters, and Disney is counting on taking a few nominations and hopefully some statues during Hollywood's biggest night. Looking at a few quick debates on social media finds some MCU fans divided over the Black Panther vs. Infinity War awards race. The general consensus is that The Russo Brothers knocked it out of the park with visual effects for Thanos alone and that Ryan Coogler's movie was lacking in comparison. However, many fans agree that Black Panther is the better movie out of the two. Again, this is only a few arguments that have been made on social media, but it's interesting to see the reaction of Coogler's film going after so many Academy Awards. While a Best Picture win for Black Panther would be huge, it will have some pretty stiff competition. However, the Costume Design award as well as the Original Score and Original Song awards could easily go to the film. The look of Wakanda has been praised by many as has the original score by Ludwig Goransson and the curated soundtrack by Kendrick Lamar. It's obviously too early to tell, but it looks like Black Panther has a decent chance of bringing home some awards early next year. Marvel Studios and Disney may be waiting to see if they can take Avengers 4 all the way next year. Whatever the case may be, deciding to give Black Panther the clear lane is a wise decision. Infinity War was huge, but it was a bit hard to follow if you haven't been in on the MCU for the past decade. Ryan Coogler delivered a standalone film that brought people into theaters who wouldn't normally go see a superhero movie on the big screen, and was hailed as a cultural phenomenon. Only time will tell if Black Panther gets the Academy Awards honors, but it certainly looks like it will be recognized. You can see the full list of awards that Disney and Marvel Studios are aiming for at the Disney For Your Consideration page.